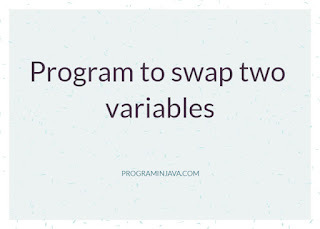 Swapping 2 variables is one of the most common interview question asked in java interviews , Its very simple if one will use the third element and store the value in it and swapped the problem.but the main thinking starts when the interviewer asked you to tell him who to swap without using 3rd variable . In this post we will see both approach . Now store third variable value in first element and the value swapped. 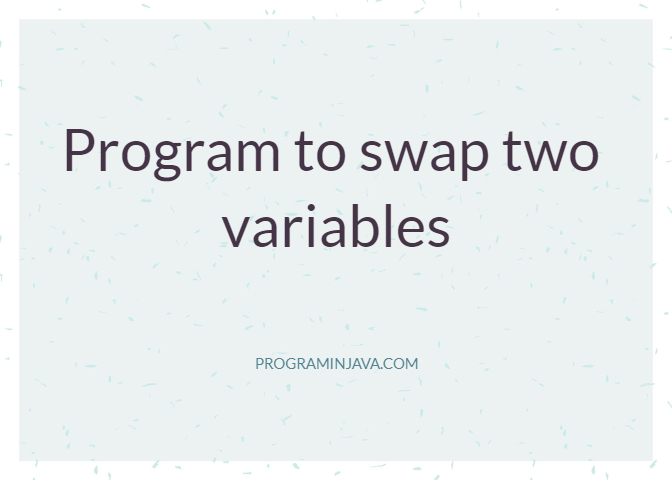 System.out.println("Value of 'i' before swapping "+i+" value of 'j' before swapping "
System.out.println("Value of 'i' after swapping "+i+" value of 'j' after swapping "
In this case , we first add both values and store it in first element. Now as first element is the sum of both we will sub the j element from sum we will get value of initial i and store it in j value. I hope this article will help you , if you like this article please share it with your friends and colleagues .